Planning a major event is a lot of work and fun, but a wedding is not just an event. It is YOUR wedding! Kenny proposed to me in the summer of 2017 at Bryant Park in New York City during Fashion Week. By all accounts, it was a storybook proposal. The love, excitement, and overwhelming joy that I was feeling that day and into the evening was quickly replaced with a different type of excitement, as I began thinking about wedding day details. Trust me, I have known a lot of brides-to-be, and none of them prepared me for the excitement and anxiety that is part of planning a wedding. The first thing I did when I got home was head to David’s Bridal for all things Bride-to-be. I picked up the cutest coffee mug and tons of Bride-to-be swag. I even got gifts for my bridesmaids there too! Many details of my wedding were yet to be figured out, but the one detail I knew for sure was that I needed a trusted partner to help me navigate some of my big day decisions. For me, that partner was David’s Bridal. David’s Bridal selection is second only to their quality of service. I knew I would be in the best hands with David’s Bridal. 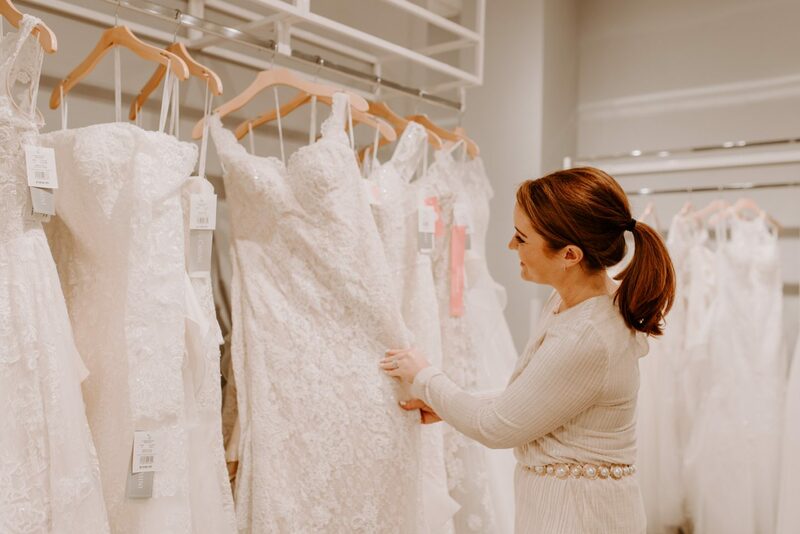 From the minute I opened the doors to David’s Bridal, I had one of the best experiences any bride-to-be would want. After all, you are shopping for one of the biggest days of your life, so you want it to be unique in every way possible. David’s Bridal delivered on everything and left me feeling excited, happy and confident in my decisions. I was greeted immediately, and we dove right into dresses! The stylist asked me a few questions regarding the style of dress I was hoping to find, and if I wanted sleeves or no sleeves. She knew exactly where to go once I told her my wishes and started pulling some beautiful wedding dresses. Her excitement was contagious. We looked through a lot of styles together before heading back to the fitting room to try on the dresses. She helped me with everything! It can be tough putting on those big dresses, and often a little intimidating. I felt like a princess, because of the attentiveness. Once in the dress, I was led to a beautiful area where we took photos of each dress. Family and friends can comfortably sit with you in this area while you find your dress for the big day. They treat you as if it is the big day. 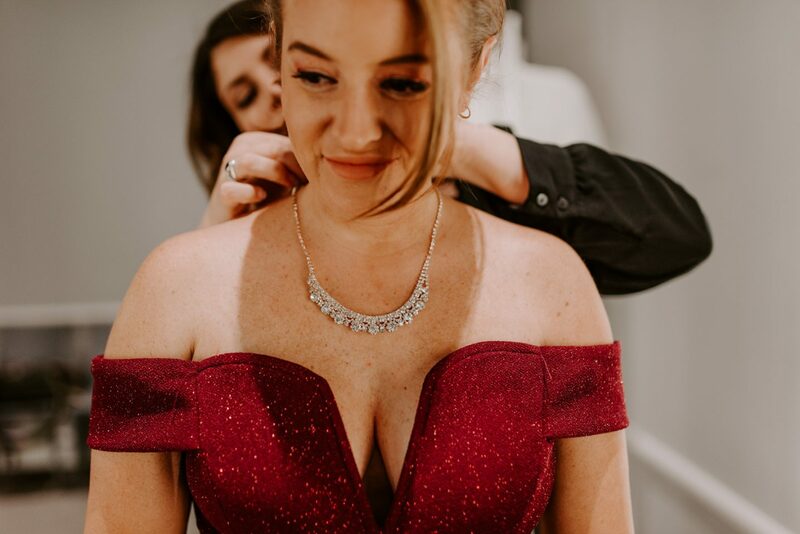 From getting help into the dress to being escorted out for friends and family to see and adjusting all details, they make you feel ready to walk down the aisle. David’s Bridal doesn’t just specialize in wedding dresses; they also carry special occasion dresses as well. From cocktail parties to their biggest occasion prom, you can find a dress for just about any occasion. I just so happened to need a formal dress for a holiday event, so the associate was so kind to help me pull the most beautiful dress for the party. If you are looking to dress your entire wedding party, you can do so with Bridesmaid dresses available in over 60 exclusive colors all starting under $100! There is a selection for everyone and sizes ranging from 0-30. They also have a wide range of accessories. My favorite, wedding apparel for your pets. My pup was a part of our wedding, so this was the best! The Wedding dress selection at David’s Bridal is phenomenal. Their Bridal-Exclusive selection includes anything from timeless, elegant and glamorous, to the David’s Bridal collection that is classic, traditional and approachable. My favorite, WHITE x Vera Wang which is a fashion-forward collection. They have a style, and design for everyone. 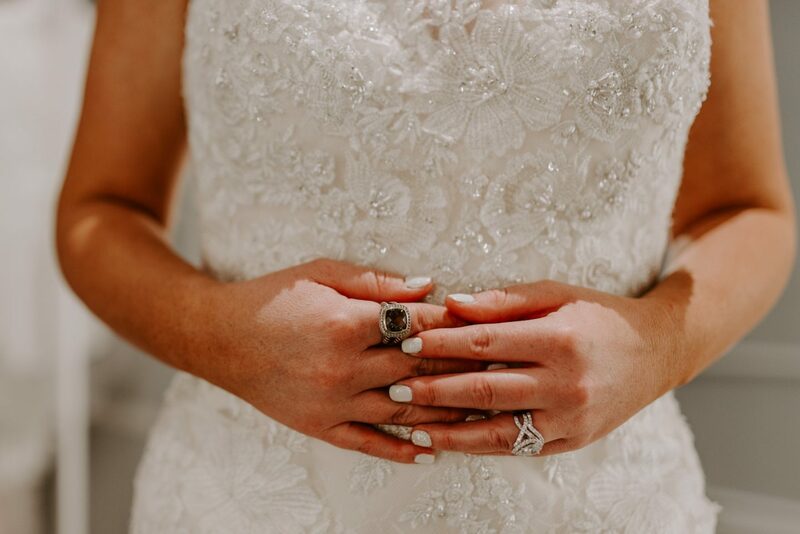 Beautiful dresses aside, the best thing that David’s Bridal did for me was to make me feel so relaxed and confident in my decision that I was able to enjoy the feelings of love and joy about my wedding in a way that I didn’t think was possible. 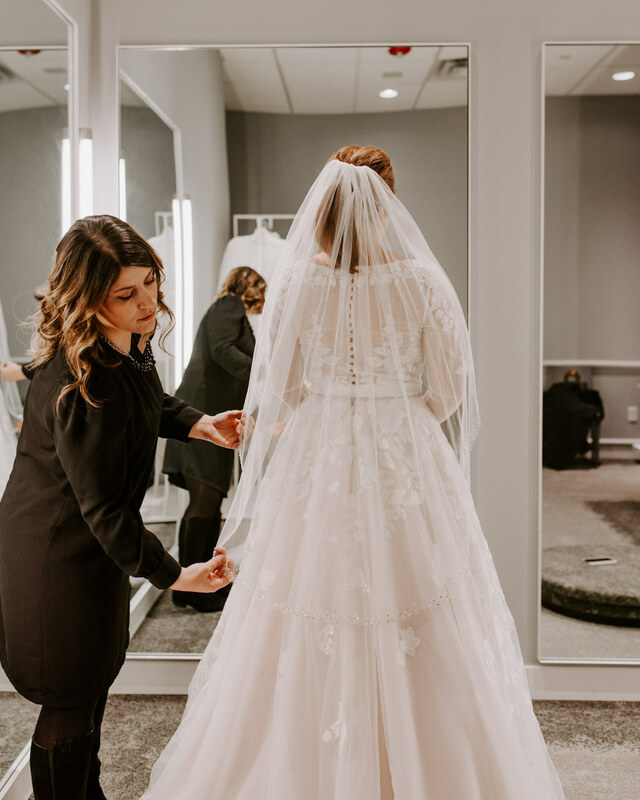 When it’s time for your big day, you will be faced with many decisions, and with more than 60 years of dressing women for all life’s special occasions, the best decision is David’s Bridal. If you are a bride-to-be making an appointment is very easy. They also have a convenient store locator for all locations which comes in handy for your bridal party. This post is sponsored by David’s Bridal.